JustNick – tagged "Creative Scrappers"
Hi Just Nick friends! 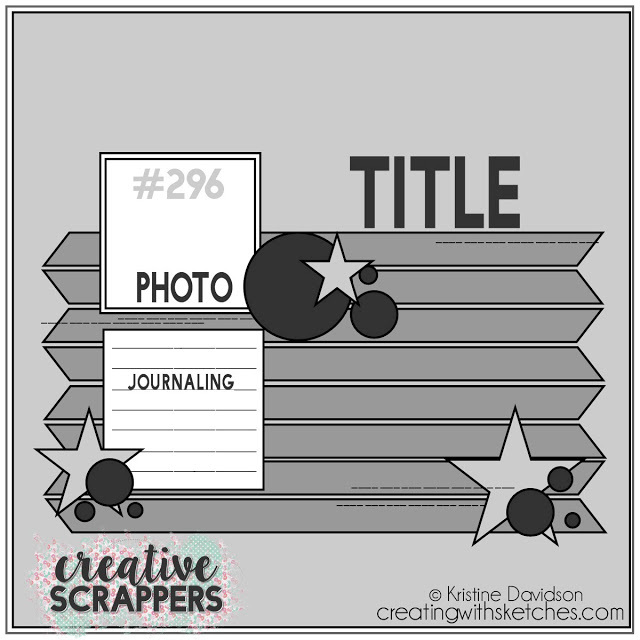 It's Jaclyn here to share my take on the Creative Scrappers team up. As you can see from my layout, I chose to use the negative cuts from the cut file to layer atop of my base patterned paper. One extra wide strip, provided for nice placement of my title and journaling. I also chose to stitch on many of the strips for added dimension and texture. It's a quick and easy solution for dressing up your cut files! You can get the Chopsticks Background cut file for FREE this month! Just use the code CSFREE at checkout! I hope you'll create something, and if you do, be sure to share it on the Creative Scrappers blog so you have a chance to win a $25 gift certificate to the Just Nick shop! Hello everyone! Donna here to share my Just Nick Studio and Creative Scrappers team up page. I resized the Chopsticks cut file so it's thinner than the original size. I fussy cut the flowers, leaves and other elements from Clique Kits' June Kit 'La Dolce Vita' featuring Elle's Studio, Jillibean Soup among other products. Melissa here and I'm happy to be sharing with you my page created using the FREE cut file, and sketch, as part of the team up with Creative Scrappers. I have to say, this page has fast become a favorite of mine and I truly think the credit has to be given to an awesome sketch and a super fun cut file! This was relatively a simple page to put together. Time consuming - a little bit with taping the papers behind the cut out background but, adding the clustered embellishments and washi tape, took no time at all. I've said it before and, I'll keep saying it - background cut files are my favorite because they give the illusion of lots of detailed work when, in reality, they take no time at all! Thanks for swinging by today! 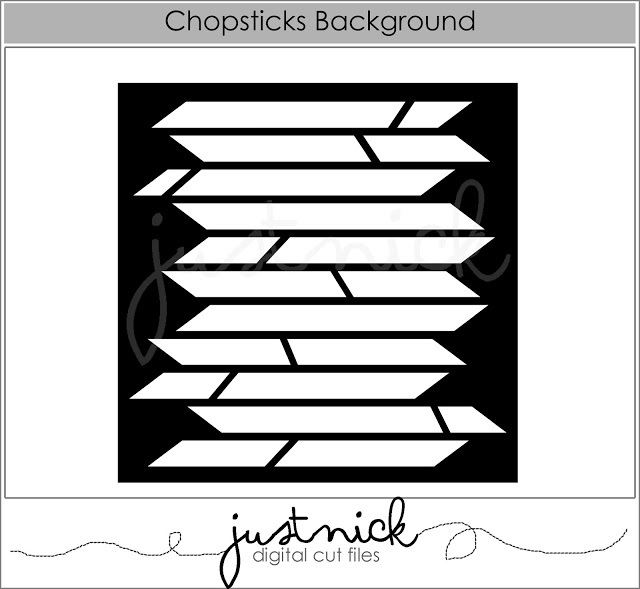 Don't forget, you can get the Chopsticks Background cut file for FREE this month! Just use the code CSFREE at checkout! After you create something, make sure to share it on the Creative Scrappers blog so you have a chance to win a $25 gift certificate to the Just Nick shop. Wow!!! It's Tarrah McLean joining you here on the Just Nick blog and today I am sharing with you the layout I created for our recent team up with Creative Scrappers! We were given this awesome sketch from the Creative Scrappers team to take inspiration from! This is the July free cut file that we were to use with the sketch! Isn't it cool? I ungrouped the cut file and deleted some of the top rows so that it resembled the sketch a little better! I have wanted an excuse to use those die-cuts and the acetate word for so long! One of my good friends sent me this photo to scrap and it was perfect to use for this layout! I mostly used the True Stories collection by Shimelle! I hope you play along too. Thanks for stopping by today!